Hosted PBX systems offer a number of benefits to their users; however, as the industry continues to grow, there are more providers coming into the fray. While this typically drives cost down as more services are available, users must be careful in selecting a provider. With the flood of providers, users must be sure of what they want and require from a system. To help narrow the field down, we have compiled 6 key factors users should consider when selecting a Hosted PBX system. 1. Will the Hosted PBX Solution support your business needs? – In reaching out to a hosted PBX provider, users should be aware of all their needs, i.e. number of lines, number of all employees in all offices, location of all employees, broadband specifications, local/long distance needs, conference calling and electronic faxing, call volume, etc. In knowing these, users will be able to select a provider who has the appropriate tools and capacity for their business. Another area that users should address is accessibility and tech support. It is important to be aware of the available support. Can employees reach the provider 24/7, even if no one is in the office? Can the system automatically route calls to the right departments regardless of location? Users should look to answer these questions as they select their hosted service provider. 2. Bandwidth – Bandwidth is critical to Hosted PBX systems. In using WAN (users’ internet connection) to carry both voice traffic and other data users will need more bandwidth for their PBX system. Bandwidth accounts for the speed in which data passes through a given circuit. Therefore, the size and data requirement of a user’s company dictates how much bandwidth is needed to run a hosted PBX service properly. 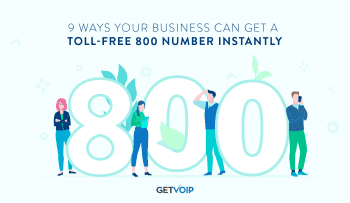 Generally, a Hosted PBX VoIP call uses approximately 90 kilobits per second (kbps) of bandwidth throughout the entire call; however, this is for a system with only one user. If a Hosted PBX with five users was added, and everyone was using the phone, the call would require a minimum 450 kbps per second of bandwidth. Users should determine their projected amount of bandwidth to ensure the hosted solution is suitable. A user’s exact bandwidth needs depends directly on their call volume, their codec (compress and decompress voice signal across the network), its packets per second capability, and their total packet size over the WAN. Once this information is accounted for, users will be able to calculate an approximation of the bandwidth needed. 3. Flexibility/Customization – It is important to select a provider that best suits your business’s individual needs. In doing so, users should look for a hosted PBX solution that offers around the clock support, as well as hands-on employee training during the initial installation through to the training of new employees. With this, users will benefit from system proficiency, which leads to a better utilization of the system, features, and functions. Also, users should look for a provider that offers the optimum amount of flexibility within their service. Aside from support and training, users should be sure that the provider’s service is able to apply to employees that are both in and out of the office. Hosted PBX typically allows traveling employees’ cell phones to connect with the network of their company; however, users should be sure that the provider can offer this service. A Lack of Bandwidth: if a users data network is over capacity latency will increase. Bandwidth with allow users to overcome this obstacle. Distance: when making a local call (across town for example) latency is as little as 25-40 milliseconds; however, the same call stretched across the continent results in 60-90 milliseconds. Latency will vary depending on location. Users can combat it by having the best data network available, as well as having the same provider at both ends. Router Delay: voice transmissions that travel over public internet circuits take a more roundabout path; therefore, slowing transmission for Hosted PBX service(s). The solution is the same as with distance, users should make sure they have a high quality provider, as well as the necessary amount of bandwidth. Firewall delay: A firewall inspects the data packets coming in, which can result in delay. This can be due to an undersized or older firewall. Codec delay: As stated above, codecs compress and decompress voice signal across the network. An uncompressed voice takes approximately 80 kbps of bandwidth. 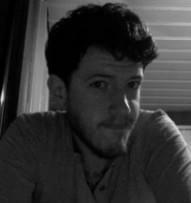 Using compression cuts that to around 20 kbps. Though this reduces bandwidth, compression is also more time consuming, and can lead to delays. A solution to all the above problems can typically be found at the provider’s end. When latency is a frequently occurring problem, it can often be resolved through the provider’s utilization of the right technology and engineering skill. Quality providers typically have no trouble remedying this situation; therefore, user’s should look to see if this is a common problem, and if it is, how fast/effective is the provider is providing resolution. 5. Ownership – Users should check that the Hosted PBX service they choose allows number ownership for both local and toll-free numbers. If a user decided to switch to another provider at any point, they will need to own the number in order for it to carry over. If the Hosted PBX provider owns the number, users will have to get assigned a new number upon leaving that provider. Aside from number ownership, users should be aware of whether or not providers own their own tech. Providers with ownership are typically able to update and maintain their equipment much better than those who rely on their own tech supplier. Additionally, if the provider licenses software from a third party, users should inquire as to the provider’s relationship with the original developer as this could indicate how often upgrades are performed to the platform. While the above factors do not account for every detail and concern that should be considered, they cover a range of different necessities. 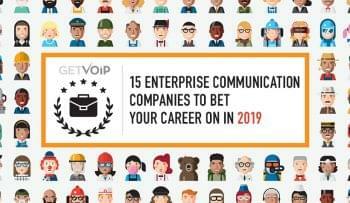 Though the industry is continuing in growth, these factors still apply when selecting a business VoIP provider for any size business. Hosted PBX systems can offer their users a number of tremendous benefits; however, in order to do this, users must be sure they select the right service.